Festivals signify Nepali identity. Nepali festivals set off everything – rituals, culture, history, politics, even theater. Without close reading of Nepali festivals, history of Nepali theater is incomplete. Rulers of Nepal have always been patron of arts. They were not only the spectators but also the playwrights. Most of the dance-dramas performed during Nepali festivals were composed by the Kings in different times of history.The roots of performative culture in Nepal lie in folk tales, myths, legends and rituals. A comprehensive history of Nepali theater is yet to be written; however, theater and art historians say, it is at least 2000 years old. According to Harsiddhi Purana, the tradition of dance-drama began in 154 BC under the name Harsiddhi, and was set up by King Bikramsen. 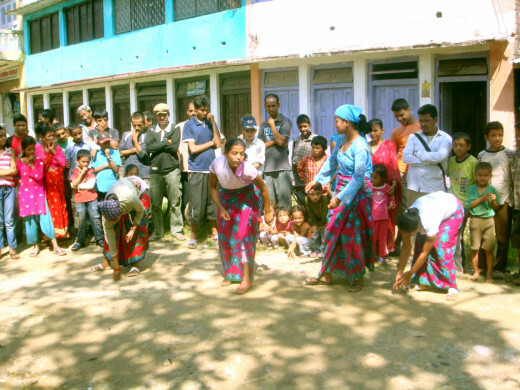 Harishiddhi Dance-Drama is still performed in Nepal. 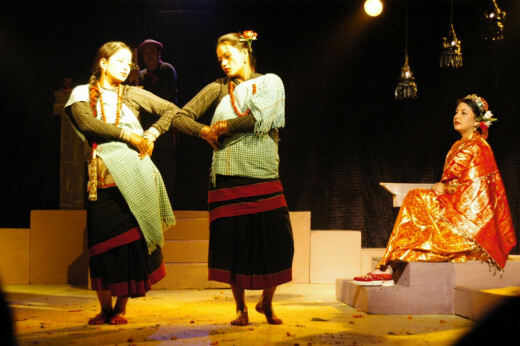 Nepali theater lives in folk as well as classical foundations, in written, visual and oral forms. In the history of Nepal, 1950’s has a great significance. Nepal not only opened up for the Westerners, but also entered into the modern era by embracing democracy. 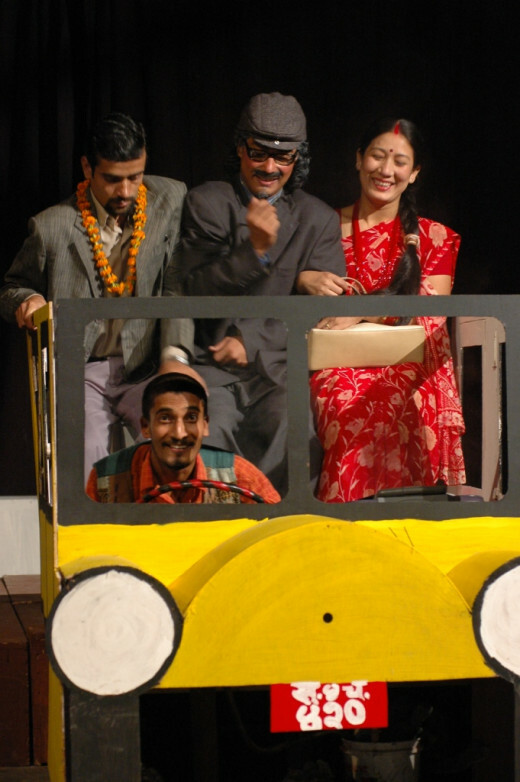 Nepali theater left commercialism in search of aesthetic taste. Writers and artistes like Balkrishna Sama, Prachanda Malla, Gopal Prasad Rimal not only wrote and produced original plays, but also took theater to the doorsteps of commoners. The 1950’s became the foundation of modern Nepali theater and literature by embracing realism and naturalism. Writers not only wrote plays but also performed and produced plays. During the height of monarchial rule (1960-1990), Nepali theater workers used theater as a political medium. They voiced concern for freedom and democracy. 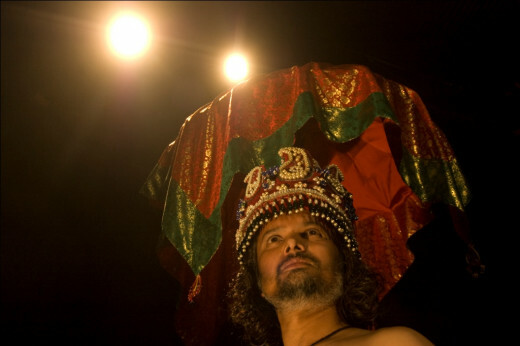 Streets became the center stage for Nepali theater artists. 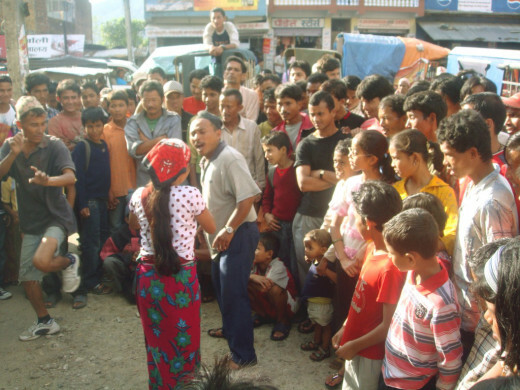 Street theater emerged in Nepal in the 1980s, during the height of monarchial rule. Ashesh Malla, Artistic Director of Sarvanam, a theater group in Nepal, is credited for the street theater in Nepal. After the end of monarchial rule in 1991, freedom of speech was guaranteed by the new government. Political change of 1991 paved a way for everything, including Nepali theater. 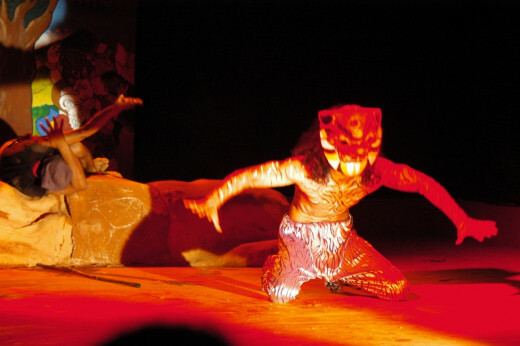 Nepali theater flourished during the late 90s and early years of the new millennium. The people’s movement of 2006 heightened it further. 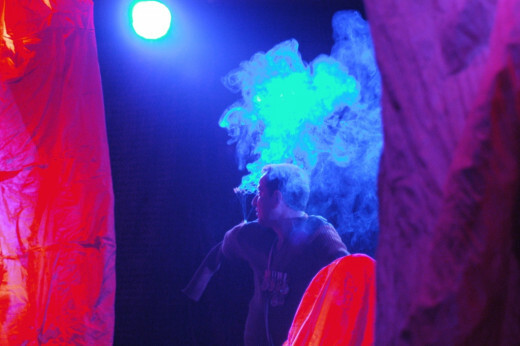 Nepali theater is now outgrowing, theater workers are beginning to see stage as a career. 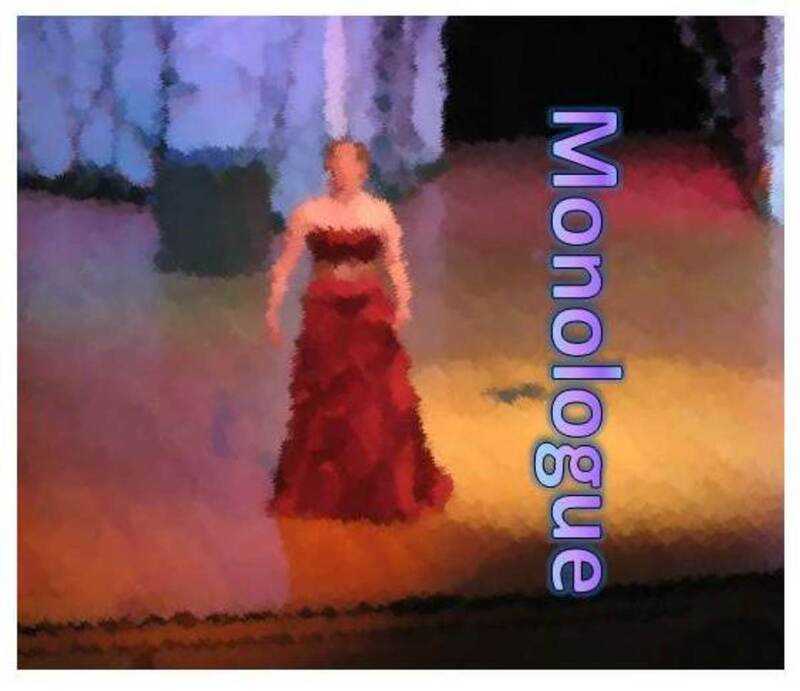 There are hundreds of theater groups active on stage, they perform and produce regular shows. 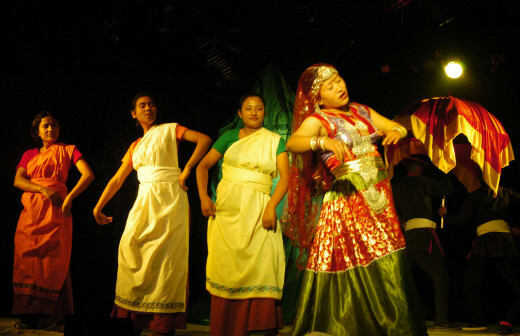 Nepali theater groups like Aarohan-Gurukul Mandala, Shilpe have organized national and international theater festivals, to place Nepal on the international theater map. At present, Nepali theater use folk tradition such as rituals, oral tales, festivals, theologies, and blend with modern dramatic form. Nepali theater is experimenting with form and content. Today, Nepal Government not only sponsors and supports theater but also has established National Cultural Corporation and Academy of Dance and Drama. The substantial theater culture dates back to the Licchavi dynasty (4th – 10th century). Nepali theater flourished during the Malla dynasty (10th – 18th century AD). Even the Shah Dynasty (Ghurkha Kings), the last ruling dynasty of Nepal (1769 – 2006) contributed considerably to Nepali theater. The Licchavi dynasty is very important historical era, not only because it was a golden period that gave birth to the present day cultural set-up of Nepal, but also because history began to record itself formally. 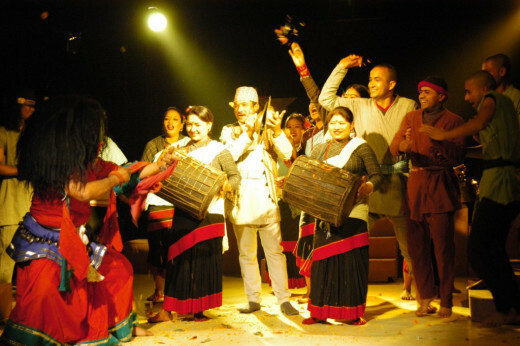 Plays belonging to Licchavi dynasty are still performed in Nepal. Hand written manuscripts of plays like Sundar Chrit by Chabilal Sharma (8th or 9th century) and Dushyantupokhan (10th century) are still preserved at the National Library, which shows popularity of theatre culture during the Licchavi period. 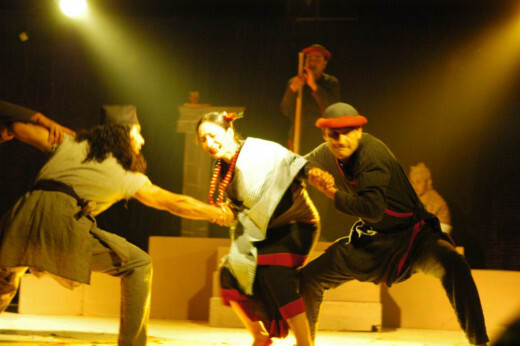 Nepali theater culture grew further during Malla dynasty. Malla Kings were writers, dancers, musicians, and accomplished actors. Pratap Malla ruled Nepal for 50 years (1639 – 1689). During his reign, Pratap Malla introduced many theatrical performances, which still are part of Nepali festivals. The Malla Kings were theater-lovers and practitioners, and drama was performed in open-air stages during festivals. Plays composed by Pratap Malla and Jayaprakash Malla are much loved even today. Malla dynasty was toppled by the Shah dynasty, nevertheless, Ghurkha Kings became patron of everything initiated by the Mallas. The early Shah Kings were poets, theater lovers, music composers, and playwrights. Prithvi Narayan Shah (1723 – 1775), the founder of modern Nepal, had organized literary festival, which was attended by Nepali and Indian artists. His son Pratap Singh Shah composed musicals. Ranas were the regents of Nepal from 1846 to 1951. Rana dynasty introduced commercial and professional theater in Nepal. Commercial theater known as Parsi theater in Nepal was a direct influence of Persian theatrical style, copied from Indian productions. Ranas introduced professionalism in Nepali Theater by remunerating theater artistes and technicians. Nevertheless, Nepali theater in the time of Ranas was restricted to royal courts. Commoners did not have access, either as actor or audience. 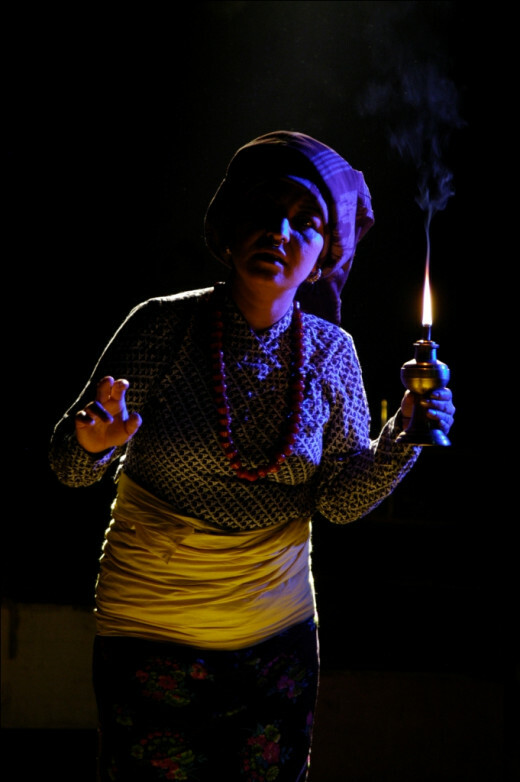 Production stills, photographed by Dipendra Bajracharya – courtesy of Aarohan Theater Group – are from Aarohan-Gurukul’s productions. Currently, Aarohan-Gurukul is working for the third installment of Kathmandu International Theater Festival. For the participating theater groups Aarohan-Gurukul will provide local hospitality, including food, accommodation, and city tour. Aarohan Theater Group was established in 1982. For the past three decades, Aarohan Theater Group has created highly artistic plays for the proscenium theater and socially committed theater for the streets and villages. 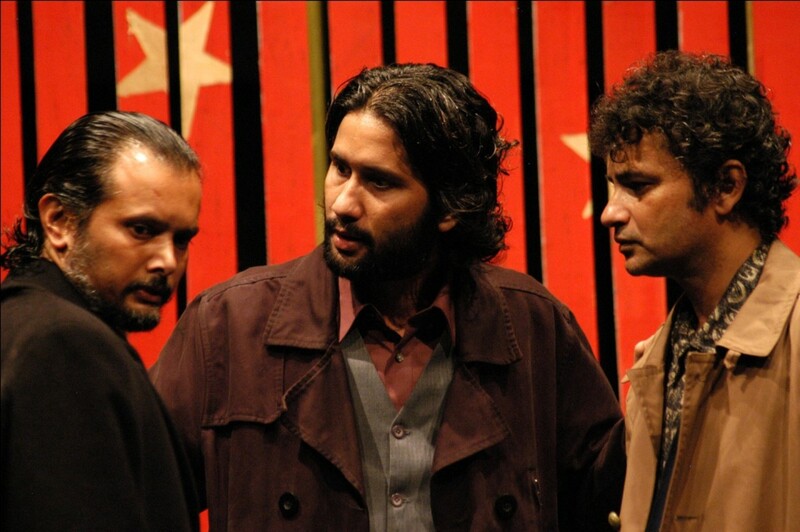 Aarohan Theater Group organizes national and international theater festivals in regular intervals. It trains and produces workforce for theater in Nepal. Aarohan Theater Group runs a theater center and a theater school in Kathmandu. Gurukul: School of Theater was established by Aarohan Theater Group in 2003. 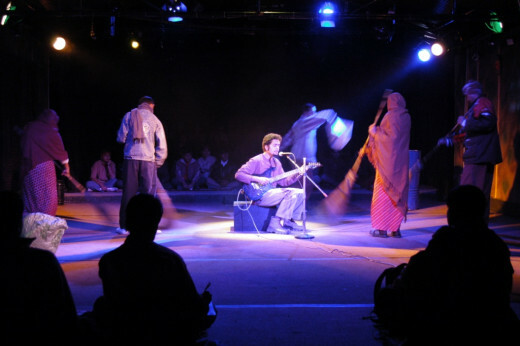 Gurukul not only organizes theater workshops and national and international interactions on theater but also has an apprentice program for theater novices. Aarohan-Gurukul also partners with international theater groups and theater workers to produce highly artistic plays, and train workforce for Nepali theater. Aarohan-Gurukul has performed in India, China, Bangladesh, Thailand, Russia, Korea, Norway and Denmark. Aarohan Theater Group is very active in politics, it participated in pro-democracy movements in 1990 and 2006. It is a beautiful blend between theater for social change and proscenium. Aarohan-Gurukul performs proscenium theater, forum theater and street theater and operates regular shows in Nepal. Vsevolod Emilevich Meyerhold, a Russian theater artist, is believed to have first introduced street theater in 1917, to mark the first anniversary of October Revolution. Street theater emerged in Nepal in the 1980s, during the height of monarchical rule. 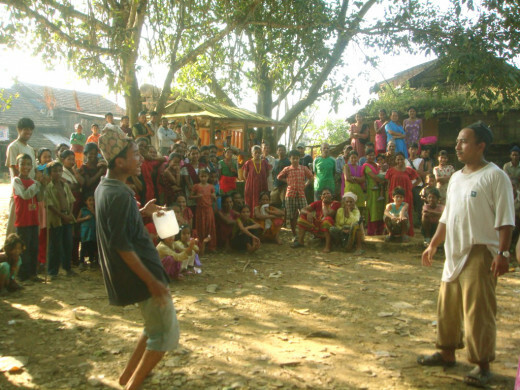 Ashesh Malla, Artistic Director of Sarvanam, a theater group in Nepal, is credited for the street theater in Nepal. Plays performed on the street are called street plays. Street plays are generally about social and political issues, and performed for raising awareness more than the aesthetics. Street plays by Aarohan-Gurukul promote social justice, democracy and pluralism. The street plays cover issues such as: HIV/AIDS, leprosy, sanitation, environment and population, community forestry, integrated community development, education, etc. Aarohan-Gurukul believes in theater for education and social change. Community Theater is one of the ventures of Aarohan-Gurukul. 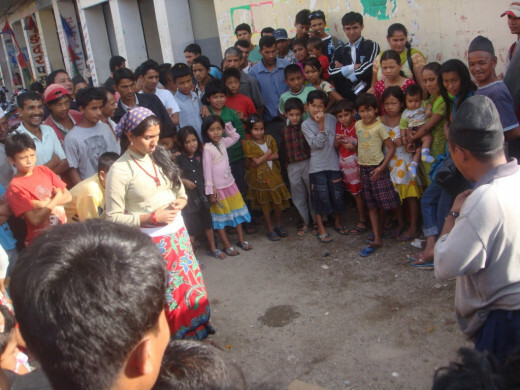 Community Theater is Nepali version of Augusto Boal’s Forum Theater. In Forum theater, the viewers turn into actors. In the beginning, the actors present the intended problem. As the problem is highlighted, the actors ask the audience how they want the problem to be solved. Then the viewers either take to the stage or come up with a solution, which instantly is enacted by the actors. Community Theater is an effective measure to explore issues and problems faced by grass root level of the society. Aarohan Theater Group has produced 15 TV series for Nepal Television. The films and documentaries by Aarohan Theater Group have been subtitled and used internationally. Aarohan Theater Group has produced numerous Radio Dramas, which have been broadcasted all over Nepal. Some of the radio dramas are as long as 136 episodes. Aarohan-Gurukul has a publication division. It has published numerous books on theater and visual arts. Deborah Merola, a Ph.D. in theater from the University of California, is in Nepal for her second Senior Fulbright in Theater at Tribhuvan University, in cooperation with Aarohan-Gurukul. Merola has written and directed many plays. Some of her directorial ventures in Nepal are: Miss Julie (2008), Kiss of the Spider Woman (2010), Desire Under the Elms (2011) and Angels in America: Millennium Approaches (2011). Currently, Merola, in association with Nepali theater workers, is working on plays for Nepali audience. Aarohan Theater Group and Gurukul, school of theater, have partnered with many international theater workers. Morten Krogh is a theater director and teacher affiliated with Academy of Arts, Oslo, Norway. 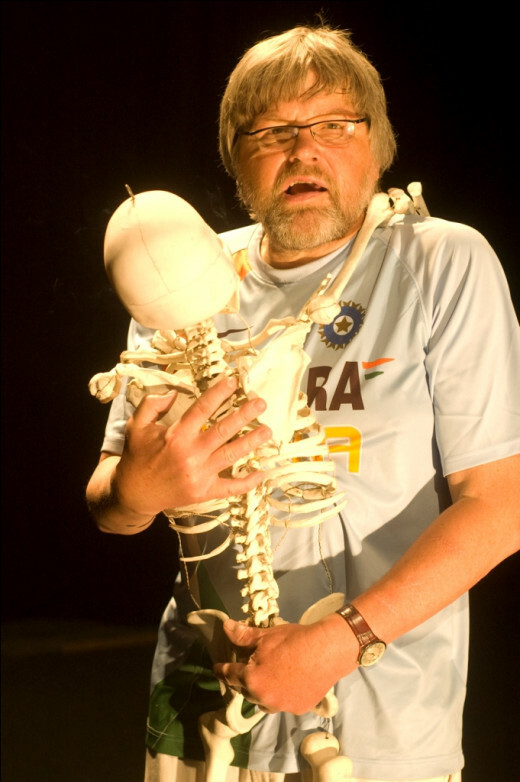 Over the years Krogh has traveled to Nepal many times and directed plays and trained theater artistes at Aarohan-Gurukul. Apart from Norway and Nepal, Morten Krogh has worked in Palestine, India, Vietnam, Sweden, Denmark, Iceland and Finland. Max Webster and Mia Theil Have: Before Max Webster began to work for Aarohan-Gurukul, he had spent one year volunteering in Nepal. 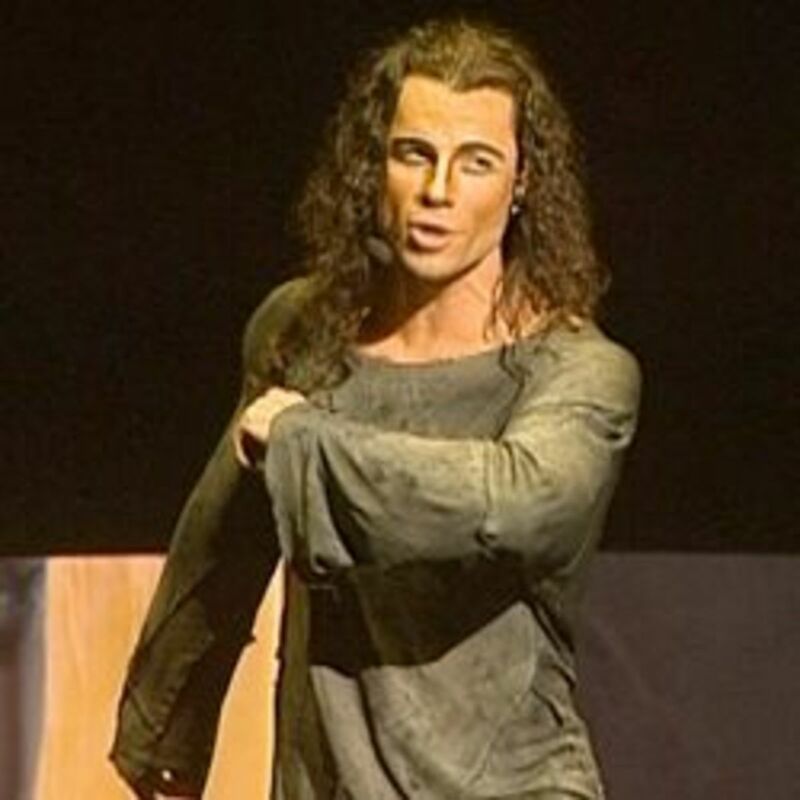 He studied drama at the Lecoq School, in Paris, and the Odin Teatret, Denmark. Mia Theil Have was trained as an actor at the Odin Teatret, Denmark, where she appeared in numerous plays. Mia has toured in twenty countries as an actor and theater trainer. For the past few years Max and Mia has been directing plays together. They have performed together in the United Kingdom for National Theater Studio, Theatre503, Southwark Playhouse, The Unicorn Theater, The Arcola, Soho Theater Studio and Riverside Studios, Birmingham School of Acting and Royal Opera House. They have participated in many international theater festivals. 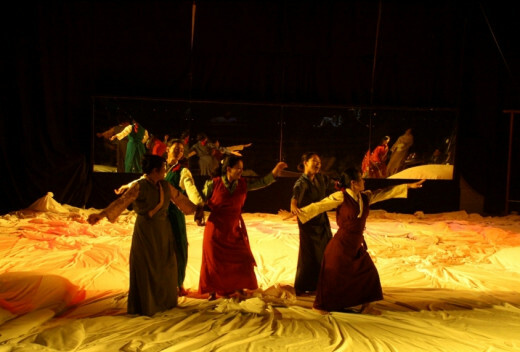 Apart from organizing theater workshops, their productions in Nepal include Hungry Tigers (2008), a surreal cabaret that has toured 25 venues in five countries, and The Caucasian Chalk Circle by Bertold Brecht (2010). Currently, Mia and Max are associated with Company of Angels, London. Dreams of Mayadevi is a play in Nepali written by Prof. (Dr.) Abhi Subedi, produced by Aarohan Theater Group and Gurukul, and directed by Nisha Sharma Pokharel. Dreams of Mayadevi captures the repercussion of armed conflict that was going on in Nepal when it was written and produced. The Play dramatizes the predicament of women during People’s War in Nepal. 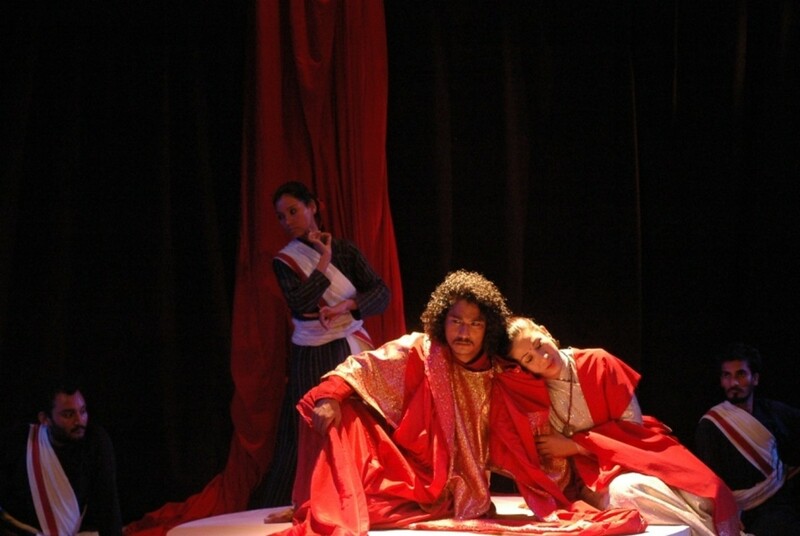 Mayadevi, the central character in the play, whose son is lost in the conflict, dreams about Mayadevi, the Buddha’s mother, who is about to give birth to the Buddha. 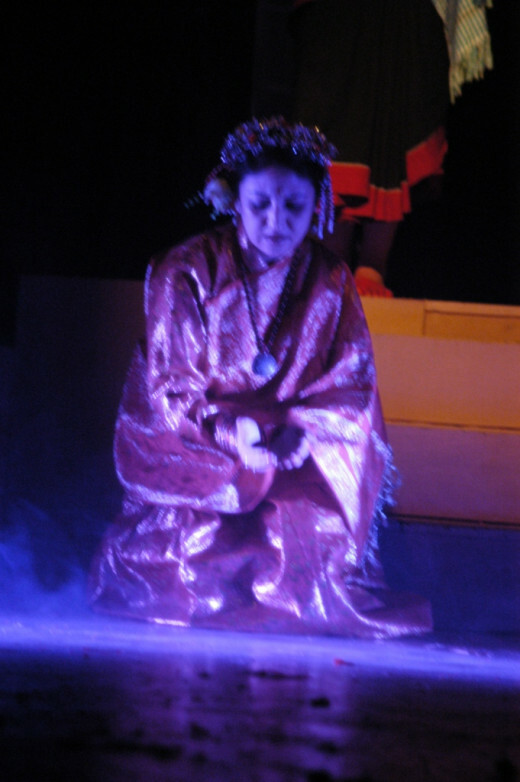 Nisha Sharma Pokharel plays Mayadevi in the play. 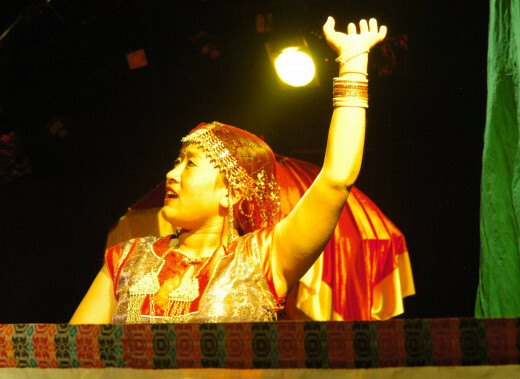 She is an iconic figure in Nepali theater. She has attended theater workshops and classes in theater in Denmark and Norway. She has been honored by many national and international theater institutes and theater groups. Nisha has performed in numerous plays including Nora in A Doll’s House by Henrik Ibsen. Dreams of Peach Blossoms is a poetic play by Dr. Abhi Subedi and directed by Sunil Pokharel. The play tries to capture the artists and the characters behind the art works in the temples and palaces in Kathmandu Valley. While trying to narrate the ancient stories in the modern time, the play also tells a story of Nepali princess Bhrikuti who was married to Tibetan King in the 6th century. Bhrikuti, who spread Buddhism in Tibet, is worshiped as Green Tara in Tibetan Buddhism. Sunil Pokharel is actor, director, scene designer, choreographer and conceptualizer. He founded Aarohan Theater Group in 1982. Sunil Pokharel and his Aarohan Theater Group established Gurukul, school of theater, in 2003. Sunil Pokharel’s contribution to modern Nepali theater is very significant. He has directed numerous plays by Nepali and international playwrights and performed on international stages. Some of the directorial ventures by Sunil Pokharel include Oedipus the King, Les Justes and A Doll’s House. “We pursue theater as politics, as a form of resistance to the passivity by globalized consumer-oriented mass media,” says Sunil Pokharel, the Artistic Director of Aarohan Theater Group. Prof. Dr. Abhi Subedi is a playwright, poet and scholar. He has published over a dozen books on literature and cultural studies in Nepali and English. Dr. Subedi plays have been performed hundreds of times. Some of his seminal works includes Dreams of Mayadevi, Dreams of Peach Blossoms, Fire in the Monastery etc. He has also worked, in the capacity of President, in the Nepali chapter of International Theater Institute (ITI). Theater is my subject of interest. I'm a regular theater goer. Mandala, one of the most prestigious theater centers in Nepal, is in my neighborhood. Thanks for reading and appreciating my works. Every time you stop on my page, you leave awesome comments. Thanks for always inspiring me to do even better. Vinaya your presentations become better and better. You reach every increasing heights of art. This is a beautiful presentation. From the video you edited to the history you offered. This is one of the best comments. Thank you my dear fellow writer and friend. @Faith Reaper, theater is one of my subjects of interest. Thanks for your comment. @Mhatter, how wonderful person you are to always follow my hubs. @Frank, you are a wonderful hub community member. Thanks for always reading my hubs. @Angel, thanks for your lovely comment. I hope to read your new hubs in coming days. @Radha, you always relate my hubs with your life and experience. Thanks for your kindness. @chef-de-jour, we also call theatre here, but Hubpages is an American company. LOL By the way rangmanch is the Nepali word for theater, which means a platform of colors. Thanks for your wonderful comment. @always exploring, I want to cover topics which are unknown to the western world.Thanks for your comment. @teaches, Aarohan is a regular theater in Nepal. Thanks for reading. @Hypenbird, live performances are wonderful. Thanks for appreciating my works. @Rosemary, Community Theater is growing popular in developing nations like Nepal. Thanks for your appreciative comment. @b. Malin, if I don't tell my stories who will tell. LOL. Thanks for being here. @Suwswan, we are a republic now, but the kings of Nepal have shaped nepal the way it appears now. Thanks for stopping by. @Marcoujor, you have a hectic schedule with your series on hub authors,however, you take a time to read and comment my works.Thank you very much. What a fascinating and detailed review of Nepali theater. You have woven so much information including showing pictures of the beauty in this art. 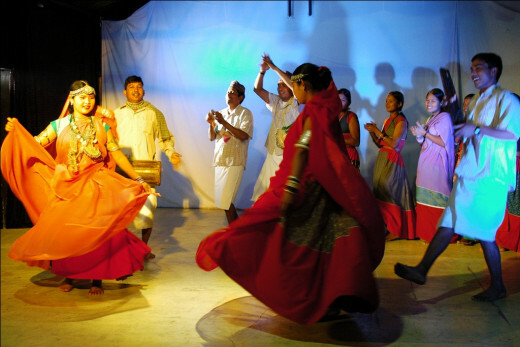 A fascinating read about Nepali theater and the Aarohan Theatre group. I would have never guessed that the rulers of Nepal were not only patrons of the theatre but also the playwrights. Thank you for sharing the rich culture of your country with us. This is a well present hub and it is obvious just how proud you are of Nepal and its history. Your pride just shines through every hub you write on Nepal. Oh this is so very beautiful. I love theater and this production is magnificent. Your formatting, information and presentation made it even more real to me. Thank you Vinaya. Very well organized article and so interesting, Vinaya! The video Fire in the Monastery was beautiful and very dramatic. There is so much more to theater than what we can see as a patron. 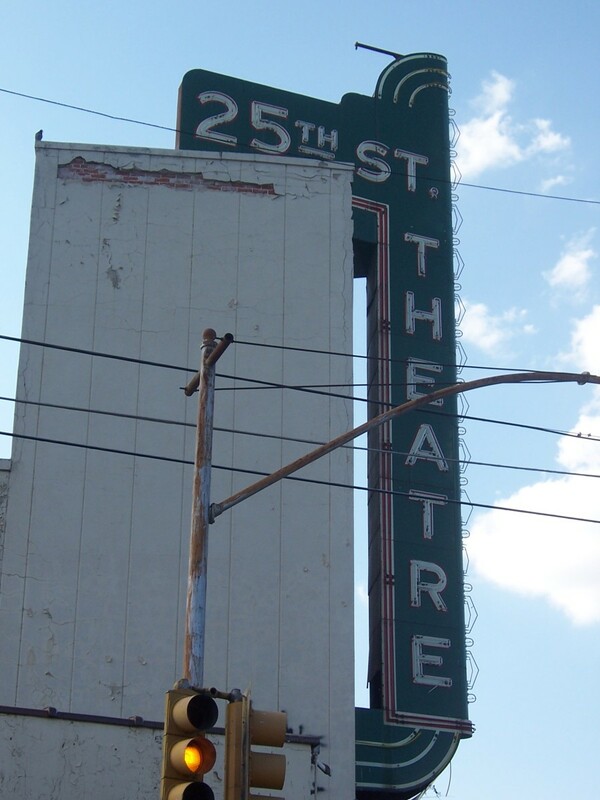 Thank you for sharing the history and background of this theater group. Hello Vinaya, I enjoyed your article very much. The history of theatre in your homeland is interesting and educational. The colorful attire is beautiful. Your detailed research is evident. Thank you. Fascinating insights into the history and ongoing presentations of theatre (theater!) in Nepal. Many thanks. Wonderful colours (colors!) and costumes. Always a delight to learn about different dramatic expressions and ways of being 'on stage'. Your hub leads us in to the specifics, even detailing political theatre. Real comprensive article on the topic. Well done and love the photos. Very interesting because we had some fire fighters at apartment last night because a guy who likes to listen to loud, heavy metal music fell asleep and he was cooking pizza. It got over cooked. Someone had to knock on his door and wake him up, despite the loud music being played. They just had to run a fan for a while and we were allowed back in after about 15 minutes. A writer who have a big heart for the culture and tradition of his land. This attribute deserves a recognition ! You're the best example to younger writers in you're place. A five star hub..
my goodness VG.. everything from entertaining educational and and wonderfully crafted tour hub here voted awesome! How fascinating! Thank you for this.